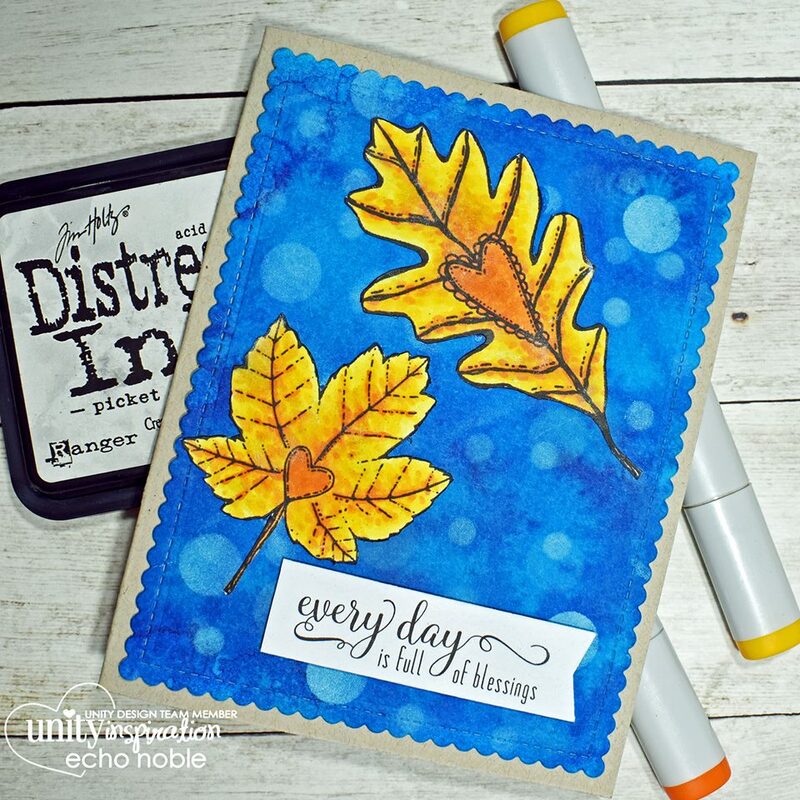 Unity Stamp Company: Be inspired Wednesday! 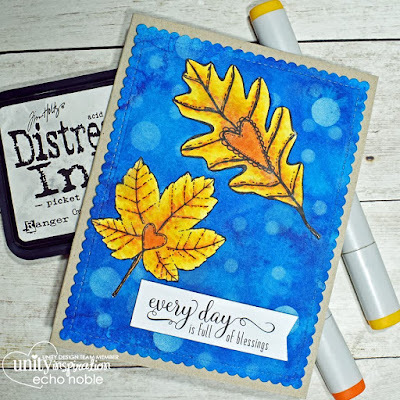 Echo here today with a card and tutorial video I made using the leaf stamps from the newest kit of the month! It is called Never be afraid and it is fabulous! 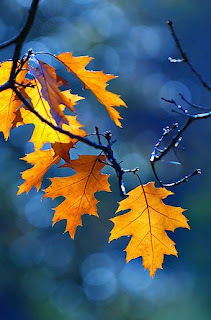 I am sucker for any leaves. I saw these ones and just fell in love with them. Since fall is my favorite season. I ran across this photo on pinterest and thought I am going to try and make that. I just love the bright leaves against the brilliant blue bokeh background! In the video I show you how to do a DIY color spray using Ken Oliver's Color Bursts and how to get a bokeh effect. A technique that is used in photography. Which is basically the way the camera lens renders out of focus lights. Hope you have a wonderful rest of your week. It never hurts to stop and take a stamping break! Leave a comment and tell me how you have been grateful! I will start. Lately I have been obsessively grateful for my wonderful husband! I know it sounds a little cheesy but it is true!